You might think this is a ruck, but it's actually a maul. The way to tell is that the ball is in a player's hands and not on the ground. It's a rugby union nuance and would garner you some credibility by knowing the difference. There's another way to use the word maul: to describe the final score. 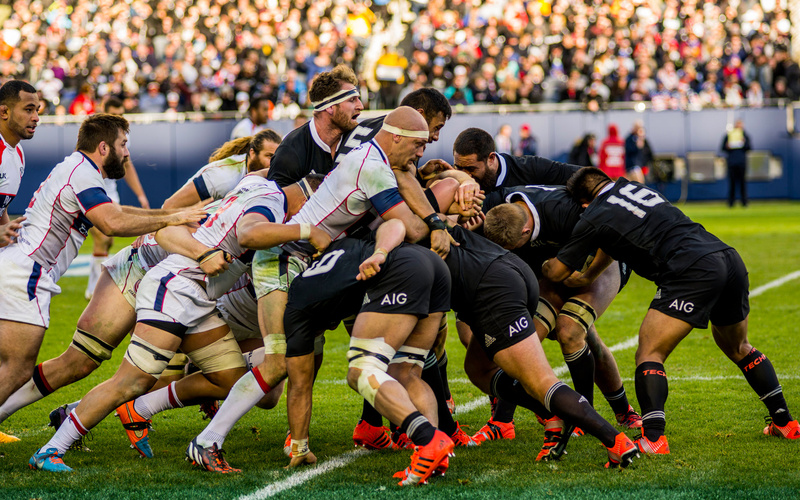 New Zealand All Blacks mauled the USA Eagles, 74-6.